The Cabat is Bottega Veneta’s most iconic design—a deceptively simple seamless tote that’s finished as beautifully on the inside as it is on the outside. This style, which made its debut on the Autumn/Winter 18 runway, brings a playful, graphic pop to the elegant style. 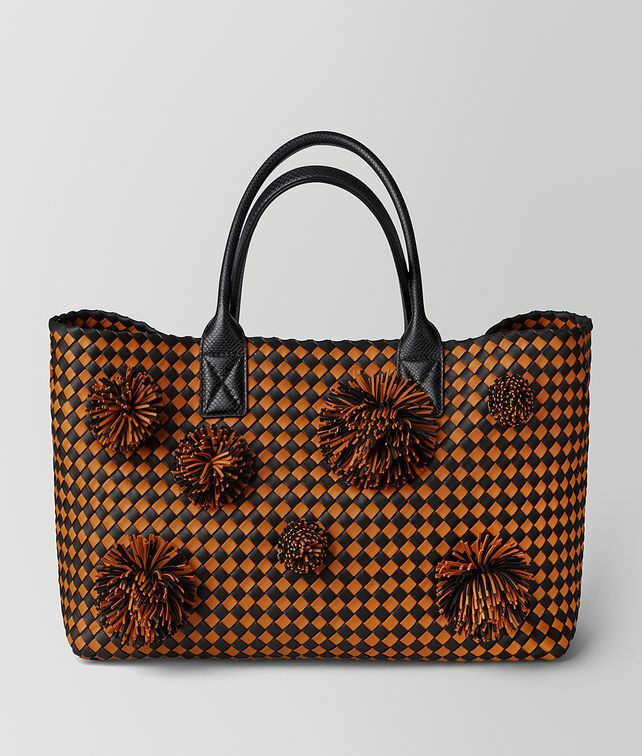 The tote is embellished with 14 leather pom-poms all in different sizes, but the interior remains completely smooth, a feat of craftsmanship. The bag is finished with black karung handles, an interior pouch and new hidden magnetic fastenings. This Cabat is destined to be a collector’s item.